The American Organization of Nurse Executives projected that the healthcare system would be short of 1 million nurses by 2015. They also predicted a national shortage of other health care providers, such as medical doctors, pharmacists, and respiratory care providers. As the number of general practice physicians and critical care physicians decrease across the nation, advanced practice nurses, with a DNP degree can fill the void by caring for patients in a variety of settings. They work primarily in nurse-managed primary care centers in medically underserved areas, bringing reliable and affordable care to more than 250 locations nationwide. The Doctor of Nursing Practice (DNP) is a terminal degree that prepares nurses for advanced practice in the complex healthcare system. The Institute of Medicine, along with the American Association of Colleges of Nursing strongly advocates that the level of preparation for advanced practice be moved from the master’s degree to the doctorate. 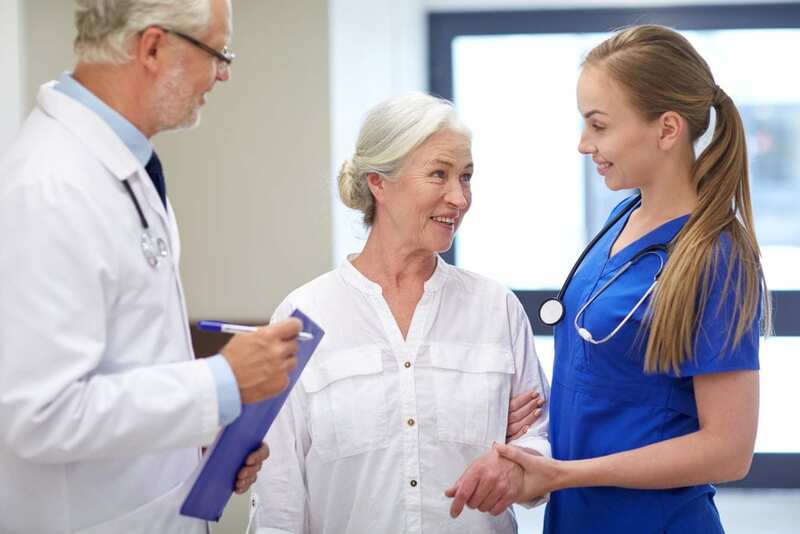 The AACN believes that the DNP provides the educational preparation for clinical nurses to better meet the level of responsibilities that advanced practice nurses face. Graduates are highly skilled clinicians who can influence patient care and healthcare delivery, advocate for healthcare, and contribute to changes in policies and ethics. With the increased educational and clinical preparation, DNP graduates can offer an extended array of healthcare services in family health, women’s health, pediatrics, and gerontological care, just to name a few. Not to be confused with the research-based Ph.D. program, the DNP features a core curriculum that combines an extensive knowledge base with evidenced-base practice. The non-research clinical doctorate produces expert practitioners who can function as clinical faculty. The Ph.D., on the other hand, prepares graduates to conduct independent research and publish their findings to positively impact healthcare. Healthcare leaders strongly urge advanced practice nurses to get a practice doctorate as evidence links the degree to better patient outcomes. There are numerous ways in which nurses with a Doctor of Nursing Practice degree make a difference in the healthcare industry. They use their education to improve care and save lives. As APRNs step in and fill the void in healthcare caused by a shortage of licensed physicians, their relevance will increase as leaders recognize their contribution to quality health care at an affordable cost. Throughout the years, DNP nurses made contributions that reduce patient injuries, save lives, and improve practices in medical facilities. In every instance, the contributing DNP analyzed the evidence, applied interventions, and implemented practices that reduce costs and improve patient outcomes. Apart from making valuable contributions to the patient-care process, there are many other good reasons for an APRN to obtain a DNP degree. APRNs with a doctorate degree earn higher salaries than those with a master’s degree. In Arizona, they can use up to $7,500 more annually. Employers prefer DNP nurses as they can apply research to solve problems in the increasingly complex healthcare system. Advanced practice nurses who want to be the very best and lead in a most effective manner will not settle for anything less than a DNP degree. It prepares them to work competently alongside other doctorally prepared members of the healthcare team, including pharmacists and physicians who have a high level of educational preparation. Nationwide, there’s an increased concern for healthcare safety and quality. The IOM’s recommendation to increase the educational preparation from the master’s degree to the DNP will eventually take the choice out of the nurses’ hands. As state Boards and colleges respond to the call, prospective APRNs will have to enroll in the DNP program to qualify for advanced practice. The curriculum will prepare them to negotiate complex systems, lead other nurses, assess and design care, and implement change. Moreover, they’ll have the leadership and clinical skills to cater to the uninsured and underinsured in numerous regions where access to healthcare is limited. The shortage of qualified nursing faculty is another good reason to obtain a DNP. Nursing school turn away thousands of eligible candidates for nursing each year due to the shortage. The inability of nursing schools to prepare graduates to meet the demands for registered nurses will affect the industry at every level. Academic institutions prefer Ph.D. nurses for some positions, but DNP-prepared nurses are needed as educators also. Today, academic institutions in Arizona and across the nation offer a bachelor’s entry option, which is cost-effective for nurses preparing for graduate education. The BSN to DNP program saves time and money for nurses, especially with the increased requirements for advanced practice that will be implemented in the future. The DNP program is an innovative program that prepares graduates to provide quality and accessible healthcare to underserved populations. Many schools deliver the content using distance-based education, allowing students to remain in rural areas or continue practice as they pursue advanced learning. Healthcare leaders have identified these providers as the solution to the healthcare crisis, as they’ll make a difference in the lives of patients in underserved areas. The DNP Essentials proposed by the AACN require students to be educated as leaders, change agents, and users of current technologies. They’ll develop the skills needed to implement and evaluate the use of technology in rural areas. Students can enter with a BSN or MSN degree. A bachelor’s degree and a master’s degree from regionally accredited institutions. The degree(s) must be in a nursing discipline. A graduate level GPA of 3.0 or above. A license to practice as a registered nurse with advanced practice privileges in Arizona or another state. Official transcripts sent directly to the nursing school and indicating date and degree conferred. A curriculum vitae and a personal statement indicating the purpose for the DNP degree. A grade B or above in graduate level biostatistics. A few schools open the DNP program to nurses with a baccalaureate degree in nursing. It provides a fast an affordable way to earn the terminal degree by skipping the master’s degree requirements. With a bit of determination and three years of full-time study, students will earn the DNP degree for advanced practice. The exact duration and credits required to earn the degree will depend on the focus of study. However, the early courses build on the foundation provided by the BSN. A bachelor’s degree in nursing from a regionally accredited institution. Official transcripts, sent directly to the nursing school, of all college-level courses. 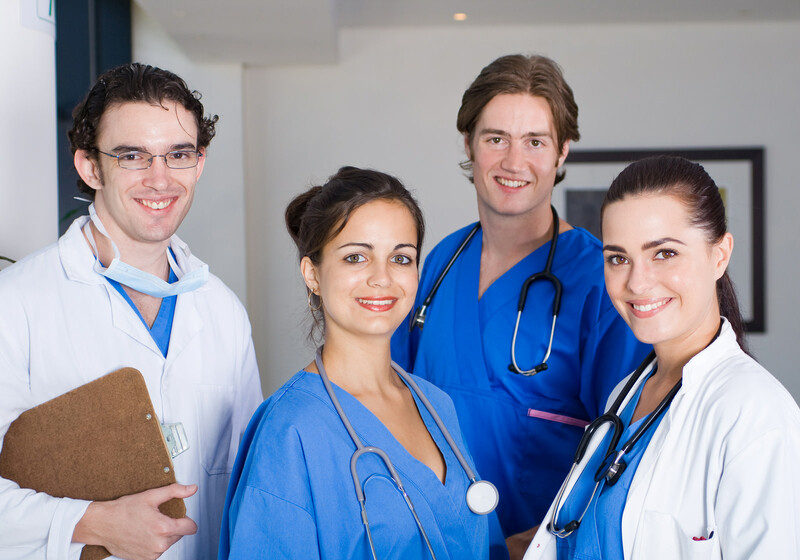 A current and active license to practice as a registered nurse in Arizona or another state. A grade B or above in undergraduate statistics. Professional and academic references from two to three professionals. The average cost of tuition for students entering through the post-master’s option is $15,480. Post-baccalaureate students pay more. Additional expenses, such as textbooks, travel, clinical supplies, and supplemental materials will increase the cost of attendance. Various forms of financial aid are available for DNP students. First-year students receive financial assistance in one form or another and then receive funding, as they become available, for subsequent years. Some resources for financial assistance include the Nurse Faculty Loan Program, WRGP waivers, GAANN Fellowships, Graduate College Fellowships, and Tuition Scholarships. Check the AACN’s website for a full list of resources for graduate students. Following is a list of accredited DNP schools in Arizona.